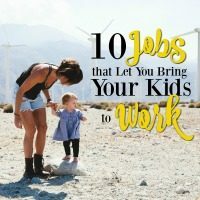 I LOVE the idea of being able to take your kids to work. 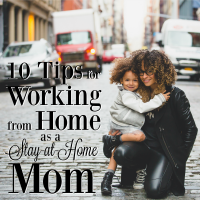 I wouldn’t trade being a stay-at-home mom for anything, but I also know I’d probably go crazy if I didn’t have at least some amount of work to do too. Not to mention that the extra money really helps! I’m always so impressed when I come across someone that has figured out a way to experience the best of both worlds, so it’s time to share! 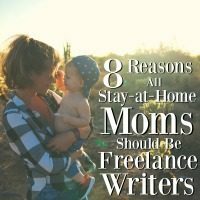 For a lot of moms, working from home while still being able to be a stay-at-home mom is a coveted dream that often feels out of reach. It can be hard to find flexible work, hard to take care of your kids and the house, and nearly impossible to mesh the two together. But once you do figure it out, it can be the best arrangement imaginable. 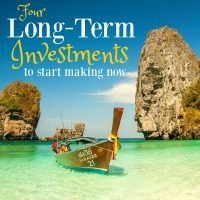 Whether it’s for extra money, personal fulfillment, or just to keep an oar in the water, it can be a total game changer for your life! Without a doubt, writing is one of my favorite ways to make extra money. Not surprisingly, my blog tops the list of my favorite platforms to write for, but every now and then it feels good to get paid for an article you write regardless of how many views, clicks, or traffic it receives. 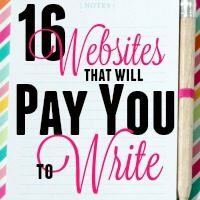 Luckily, nowadays there are a ton of websites that will pay you to write for them. 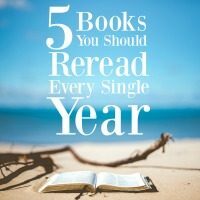 If you enjoy writing like I do, check out these sites to see if they’re a good fit. (You can also check out my list of other ways to make money with your writing here → 6 Ways to Make Money as a Writer). There are lots of items I would consider absolutely essential as a mom, but honestly there’s only one item I can’t go 20 minutes without and that’s my phone. And it’s not because I’m playing Candy Crush or posting pictures on Facebook. 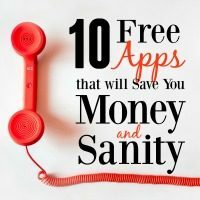 It’s because of the collection of free apps I’ve gathered that tell me what to do, when to do it, and how to do it. Ones that calm my baby, put him to sleep, then calm me. And ones that tell me what’s going on outside the world of baby. And for those moments when I do have time to post on Facebook, it makes the process possible (and fun). For me, nothing beats being a stay-at-home mom. It is the best decision I ever made and I wouldn’t change it for the world. 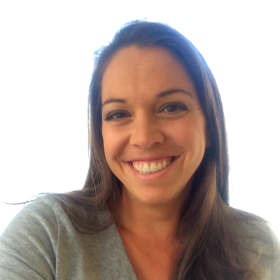 But I feel lucky that in addition to being a stay-at-home mom, I’ve found an outlet that lets me escape the hardest parts of the day – the times when you feel unproductive, flustered, lonely, or out-of-control. Being at home is worth it – but it’s still tough! For me, that outlet has been through writing. It has culminated in this blog, but behind that are freelance jobs, pet projects, and other sources of writing for pleasure or pay. And I didn’t start out as a writer. In fact, I often can’t believe that I’ve even found myself here because writing was never something I actually enjoyed, nor was it something I planned on doing. It just happened. But thank God it did, because now I don’t know what I’d do without it!